Printers hold an irreplaceable place in our professional lives, and so do the cartridges. Adequate care should be taken to ensure smooth operations of such electronic devices. Genuine OEM Ink Cartridges are those cartridges that have been manufactured by the same company whose printer you currently own. Re-manufactured ink cartridges refer to recycled empty ink cartridges after disassembling, inspecting, cleaning, reassembling, refilling, and quality assurance testing to ensure optimal performance. New Built Compatible Ink Cartridge, on the other hand, is manufactured by a 3rd party brand and not the original manufacturer. These are built with non-OEM core. It consists of brand new material instead of the recycled OEM core. Apart from the shell, others ingredients (ink, sponge) are mainly the same as re-manufactured cartridges. Additionally, new built compatible or re-manufactured ink cartridges (without print head) typically come with a 3rd party chip; with an exception of re-manufactured ink cartridges that some have reset OEM chips. 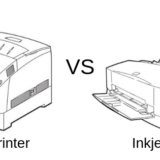 Based on the integration of print head, there are two main types of ink cartridges – ink cartridge with integrated print head and ink tank (without print head). Examples: Canon PG-240XL is the one with integrated print head while Canon 270XL is without it. Genuine cartridges are expensive than the compatible ones, but the quality can be assured in both the cases. The Primera 53335 is a good example of Genuine OEM ink cartridge. It is a color ink cartridge and compatible with PRIMERA Bravo SE AutoPrinter (63104), PRIMERA Bravo SE Blu Disc Publisher (63127), PRIMERA Bravo SE Disc Publisher (63101), PRIMERA BravoPro Disc Publisher (63703), etc. Ink cartridges, like any other component of printers, are prone to damage if not handled properly. Also, this can impact the overall functioning of your printer. So, this blog will give you a fair idea of how cartridges can be made to last longer using some basic tips. When filling fresh ink into your printer, go slow and be careful. Prevent installed cartridges from drying out by using the power button to turn off the printer. In case of used ink cartridges, always store them in an upright position with the nozzle in the upper position. Also, they should be stored in a dry, airtight space. 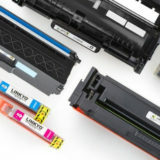 When refilling color ink cartridges, they should be handled with extra care as there are chances of cross contamination between different colors. Also, each cartridge should be packed separately and then brought to the refilling station. Clean the print head periodically, as there are chances of clogging. If you are not using the printer regularly, do print a test page every now and then to prevent clogging. Following the basic tips outlined above will go a long way in prolonging the life of both your printer and cartridge. Frequent, minor observations of printers help in noticing the issues and rectify them, before it’s too late. ← Tricks and Tips to Store Ink Cartridges When Not in Use!